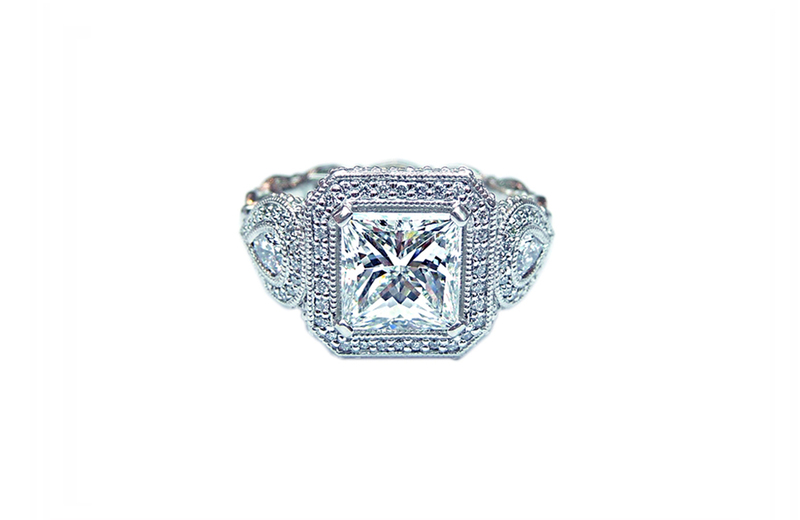 A stunning Princess cut diamond set with paddle prongs. Two flawless pear shape diamonds all connect with 3 diamond halos. 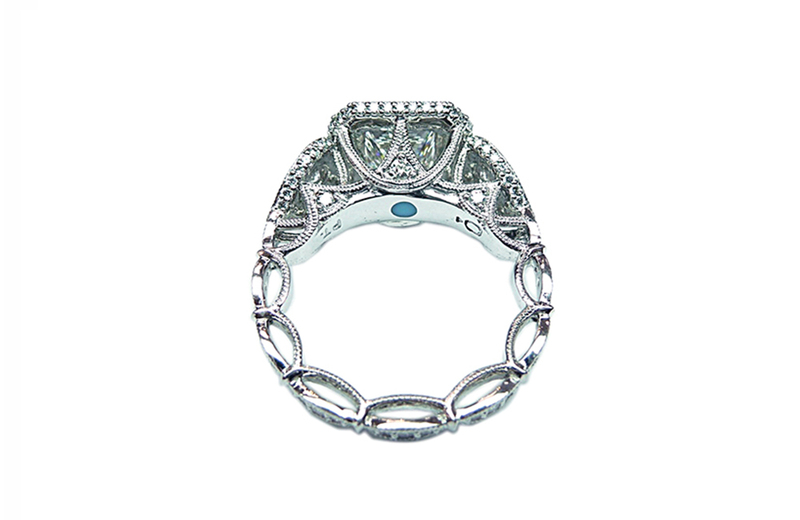 The diamond marquise band has oval openings and the inside has a turquoise stone. There is a special symbolizm for every angle of this ring.